Author: Cocca-Leffler, Maryann Set In . . . 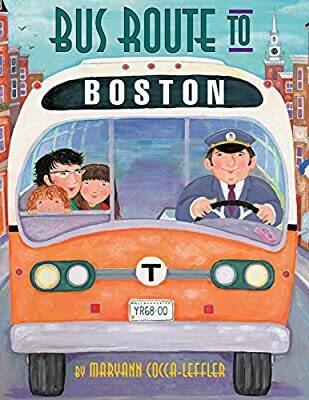 The everyday sights, sounds and smells of a colorful and bustling city come alive in this book - a child's view of Boston. Maryann Cocca-Leffler remembers frequent bus trips she took into the city as a girl with her mother and little sister. Together they shopped for delicious treats in the Italian North End - warm pizza and creamy cannoli - or stopped for ice cream sundaes at Bailey's after a day of bargain hunting at Filene's Basement. One of the best things about the trips was the bus driver, Bill. He started his route each day in their neighborhood and knew all the kids on the street. In this engaging Parents' Choice Award book, the author-artist conveys all the warmth and simple pleasure of childhood memories and the people and places that made them so special.